This site is a comprehensive listing of Web-based resources for those involved in scholastic journalism. While some original content is included with this site, most of the site contains links to other Web-based resources of interest specifically to secondary school journalism students, their teachers and media advisers. The Digital Journalist: Multimedia magazine for photojournalists. MSN Picture Stories: An extensive collection of picture stories on MSNBC’s site. National Geographic: Galleries of current photos, photo tips, links to useful sites. RobGalbraith.com: Comprehensive site for professional digital photographers. Time.com Photo Essays:Photo essays from Time magazine. The Washington Post: Check out Camera Works, their photo site. Corporate sites: Canon, Nikon, Pentax, Ilford and Kodak. Photo agencies: Corbis and Magnum. Digital Cameras HQ: Reviews of new camera models. Best of television photojournalism: Winners of the NPPA Best of Television Photojournalism Awards 2006. Black & White World Darkroom Resource Center: Tips, equipment reviews, articles and a section on street photography. Canon Digital Learning Center: Tips, techniques, a digital photo guidebook and information on Canon products. Kodak’s digital photography tips: Tips on taking digital and film pictures, editing, and a collection of photo stories. Magnum Portfolios: Portfolios from the members of the Mangum Photos co-op. National Press Photographer’s Association: Professional organization open to students as well as professionals in print and television photojournalism. NPPA’s Code of Ethics: Code of ethics drafted by the National Press Photographer’s Association. Photographers’ Guide to Privacy: A state-to-state guide on privacy from the RCFP. Photogs.com: Tips, news, examples and articles on photography. Times Topics: Photography: An archive of articles on photography, plus commentary from the folks at the New York Times. Student Curriculum in Photography: Online resource for beginning photographers designed for the students at Santa Cruz High School. Contains articles and tips on subjects from Ansel Adams to shutter speed. Comstock images: Commercial stock imagery. Bartleby.com: Extensive online reference site with including dictionary, thesauri, reference books, classic literature, quotations and just about anything else you could want. Elements of Style: Strunk and White’s classic writing text. Helping High School Journalists: March 2000 issue of The American Editor features newspapers that support high school journalism; explores what newspapers are doing to increase the pool of people of varying ethnicities who work in newsrooms. Investigative Reporters and Editors: Investigative reporters’ resource. Journalist’s Toolbox: Portal site listing research tools for journalists. Power Reporting: Research resources for journalists. Project Censored: Calls attention to censored stories. RobertNiles.com: Helps journalists use statistics and public records more effectively. Story Ideas and Tips for Teen Writers: Creative writing for teens from About.com featuring assistance with writing, grammar, punctuation and various genres of writing. Total News: All news search engine. Center for Investigative journalism: Special investigations and guides to conducting your own. National Institute for Computer Assisted Reporting: Help with electronic research. NewsU: Training, writing advice and resources. Power Reporting (Bill Dedman): Reporting resources by beat, tools for searching and more. Reporter.org: Links to many resources, plus a beat source guide. American Journalism Review: AJR’s comprehensive journalism site, featuring articles, resource materials and links to news sites. Associated Collegiate Press: “Trends in College Media” site addresses legal and ethical issues and other trends in college newsrooms. Committee to Protect Journalists: Nonpartisan, nonprofit group founded in 1981 to monitor abuses against the press and promote press freedom worldwide. Copyeditor.com: “Copy Editor” free newsletter, workshop information, job board and links. Journalism Books and Movies: List of books and movies compiled by Indiana University students for “Methods of Teaching Journalism” course. Journalism Movies: Page compiled by Paul Schindler listing movies about journalism. NewsLink: Thousands of links to newspapers, magazines, broadcast and news sites worldwide. The Associated Press: Portal to the premier wire service’s news, photos and special features; links to Associated Press member papers. AP Wide World Photos: A subsidiary to Associated Press with hundreds of news, sports, entertainment and feature photos added daily to the AP/Wide World Photos collection, it has become the leading news and historical photo archive in the world today. Channel One: Channel One allows students to submit their work. There are daily quizzes and news stories. The site is a spin-off of the newscast. CNN Student News: Daily headlines, news and resources for students. Creators Syndicate: Syndicated newspaper service featuring writers like Ann Landers and Mark Shields. The site categories are opinion, features, and editorial cartoons and comics. Newsmakers Online Photo Service: A part of GettyImages, an online real-time digital news photo service. They provide photography from around the world in digital form for use by newspapers, magazines, Web sites, broadcasters and publishers. Their policy is to provide images you can use at an affordable price without hidden costs. Scripps Howard News Service: For nearly a century, Scripps Howard has provided newspapers coverage of Washington and the world, national and international news, sports, business, entertainment, health, money, science, crime, technology and religion. SportsTicker: SportsTicker is the world’s leading real-time sports news and information service. SportsTicker is the instant sports news and information service of ESPN. United Press International: United Press International pioneered many areas of worldwide news coverage and distribution, striving since 1907 to provide news coverage that is fast, accurate, fair and balanced. American Society of Newspaper Editors: ASNE is the leading organization of daily newspaper editors in the Americas. Members share ideas, develop programs and projects for good journalism. Columbia Scholastic Press Association: Comprehensive site for scholastic journalism. Includes conferences, contests, books and other information for student journalists. Columbia Scholastic Press Advisers Association: A professional organization of teachers/advisers devoted to the development of the student press and education. Dow Jones Newspaper Fund: Created by the editors of the Wall Street Journal; provides internships and scholarships to college students, career literature, fellowships for high school journalism teachers and publications advisers and training for college journalism instructors. Indiana High School Press Association: Focuses on high school journalism education through workshops, resources and contests. Inland Press Association: Newspaper association specializing in training options for all newspaper departments, industry research in newspaper costs, revenues and compensation. Iowa High School Press Association: High school journalism education site that seeks to encourage and educate student journalists and improve scholastic media programs. Journalism Education Association: Professional association of high school and middle school journalism teachers and student media advisers. Journalism Teachers Only: Guides and resource materials for j-teachers. National Press Photographers Association: Site includes member galleries, resources, contest information and a student section. National Scholastic Press Association: Student-oriented national press association for high school and middle school students. North Carolina Scholastic Media Association: Serves and promotes scholastic journalism. The Poynter Institute Online: Educational resources and articles for journalists. Quill & Scroll: Based at the University of Iowa, Quill & Scroll is the international honorary society for high school journalism. Radio-Television News Directors Association: World’s largest professional organization devoted exclusively to electronic journalism. Society for News Design: Focuses on design issues for professional media organizations. Lots of examples of innovative design. Society of Professional Journalists: Site of the member organization that includes resource materials, contest information and many other member services. 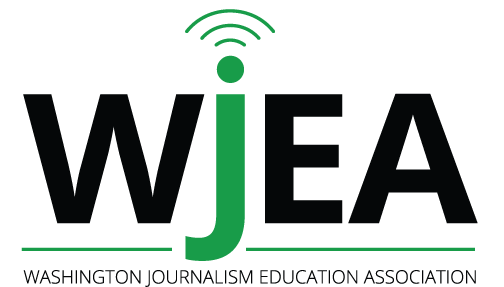 Washington Journalism Education Association: Journalism education site that seeks to encourage and educate student journalists and improve scholastic media programs. American Civil Liberties Union: Site of the national organization includes students’ rights section. Freedom Forum: Nonpartisan foundation dedicated to free press, free speech, free spirit for all people. Priorities include the Newseum, First Amendment freedoms, newsroom diversity. Legal Information Institute First Amendment Page: First Amendment section of the comprehensive, searchable legal resource site. National Coalition Against Censorship: Alliance of 50 national non-profit organizations united to defend freedom of thought, inquiry and expression. Works to educate our own members and the public at large about the dangers of censorship and how to oppose them. Oyez: The OYEZ Project provides access to more than 2000 hours of Supreme Court audio. All audio in the Court recorded since 1995 is included in the project. Reporters Committee for Freedom of the Press: Resource in free speech issues, disseminating information through a quarterly legal review, a bi-weekly newsletter, a 24-hour hotline, and various handbooks on media law issues. SPJ-FOIA: Links to information about federal and state Freedom of Information issues; Society of Professional Journalists sponsors site. Student Press Law Center: Advocate for student free-press rights; provides information, advice and free legal assistance to students and educators. Student Press Review: Site of Columbia Scholastic Press Association; stories and links to student press resources. U.S. Copyright Office: Basics of copyright law and answers to common questions. www.teachfirstamendment.org: Resources for teaching the first amendment in high school classrooms. Committee to protect journalists: Nonprofit group committed to projecting journalists across the globe. First Amendement project: A nonprofit advocacy organization dedicated to protecting and promoting freedom of information, expression, and petition. Includes guides to free court access. National Freedom of Information Coalition: Offers grants to Freedom of Information coalitions around the country. Links to state access sites. Freedom of Information Center at Missouri School of Journalism: News and links for FOI. Reporter”s Committee for Freedom of the Press: Free legal access to journalists. Open Government Guide: RCFP state-by-state guide to open meetings and open records laws. Media Law Resource Center: Monitors developments and promote First Amendment rights in the libel, privacy and related legal fields. Fairness and Accuracy in Reporting: Scrutinizes media coverage. Findlaw.com: Search for Supreme Court cases. Campus Weblines: A guide to taking your high school media online. Evaluating Web Sites: How to decide the credibility of Web sources and sites; advice from Eddie Byrne of Dublin (Ireland) City Public Library Service. High School Journalism.org: Sponsored by ASNE, this site is geared toward teen journalists, their teachers and guidance counselors as well as the editors and staffs of professional daily newspapers. HiLite Online: Carmel High School in Indiana has an award-winning news Web site. Online Journalism Review: USC Annenberg’s online publication all about online journalism, including ongoing research and industry trends for professionals, as well as for student journalists. Online News Association:The Online News Association was founded in 1999 by several working members of the online press. ONA is open to journalists from around the world who produce news on the Internet and other digital platforms. Poynter Institute for Media Studies: Journalism resources for online journalists, student journalists and every other kind of journalist. Web Design Tips: From About.com. Yahoo directory of high school newspapers: Directory of high school newspaper Web sites. Eduscapes directory: Collection of school newspapers and newsletters online. My High School Journalism.org: Examples of student newspapers. Adobe: Adobe Systems Incorporated builds award-winning software solutions for Web and print publishing, including PhotoShop and InDesign. Macromedia: Macromedia enables professional Web developers to create engaging and effective next-generation Web sites in programs including DreamWeaver. Microsoft: A starting site to all programs Microsoft, including Word and Excel. Quark: More than four million customers rely on Quark’s broad market expertise and innovation. For over 20 years, Quark has committed itself to real world solutions for page layout, enterprise workflow, system integration, and the delivery of content. Eclipse Services: A division of Quadrivium, Inc., this site features business software designed especially for college media operations with high staff turnover. Its AdPro system was developed in 1992 for the Daily Pennsylvanian. One in four college daily newspapers, including the Indiana Daily Student, uses this software for tracking display, classified and Internet ads, online classified placement, sales calling and accounts receivable. Washington Journalism Education Association: Provides resources, programs and a summer workshop for high school journalists, teachers and advisers. Radio Rookies: WNYC program that trains young people to use words and sounds to tell true stories about themselves, their community and the world. Scholastic Media Program at Kent State: Helps high school journalists and their advisers. It’s Press Day, summer workshops, weekend short courses, programs at special media sites and regional campuses, distributed learning programs, and things they haven’t even thought of yet. State-by-State High School J-Workshops: Dow Jones Newspaper Fund’s comprehensive listing of high school journalism workshops in a state-by-state list with links to local programs. Student Television Network Camp: Offers training in TV production and broadcast journalism; hosted by Hillcrest High School in Springfield, Mo. Summer Minority Workshops: DJNF listing of summer high school journalism workshops geared toward minority students in a state-by-state list with links to local programs. Youth Radio: Promotes young people’s intellectual, creative, and professional growth through training and access to media. Broadcast Journalism Tip Center: A collection of syllabi, story ideas, how-to stories and other advice for students and teachers alike. Deliver Your Media: Articles and how-to stories about encoding and streaming audio and video. HTV Magazine: Monthly TV magazine produced at Hillcrest High School in Springfield, Missouri. WHJE: Streaming audio of the radio station from Carmel High School. WAVM: Streaming audio from Maynard High School in Massachusetts. WHFH: Streaming audio from Homewood-Flossmoor High School in Illinois. Broadcast Education Association: Job listings, scholarships and grants, journals and links to other broadcast sites. High School Journalism Broadcast: Sponsored by ASNE, this section of the High School Journalism site offers resources for students and teachers interested in broadcast journalism. International Radio and Television Society Foundation, Inc.: Upcoming events and contests. Museum of Broadcast Communications: Clips from famous broadcasts and Radio Hall of Fame Inductees, and video of some exhibits. National Association of Broadcasters: Information on digital broadcasting, radio, television, career resources and event information. National Student Television Award for Excellence: Award-winning student videos and contest information. Poynter TV/Radio: Articles, columns and news about professional broadcast journalism. Poynter’s TV/Radio Tipsheet: Poynter articles about the professional radio and television industry. RTNDF’s High School Journalism Project: Resources, awards, workshops, a downloadable television student handbook and ideas and materials for teachers. Student Television Network: A networking site for students and teachers with a downloadable code of ethics, contests and camps. Electronic Frontier Foundation: Digital rights. Free Web hosting: High school newspapers can host their online versions here. Center for Democracy and Technology: News on digital expression. International Webcasters Association: Offers “Webcasting for Rookies” section. Interactive Narratives: A guide to online storytelling. Podcasting legal guide by the webcasters association: Webcaster’s Association’s legal guide to Podcasting. Freep Newspaper movies: Compiled by The Detroit Free Press. Images of the Journalist in Popular Culture: An Annenberg School for Communication project. Journalism Movies: List and reviews of journalism in movies and television, compiled by an eighth grade teacher. Journalists and Media in the Movies: Compiled by the UC Berkley Media Resources Center. Journalists in the Movies: Compiled by the Washington Post. A Moviegoers Guide to Ethics from Poytner: Favorites from Poynter. Like most Web sites, this one continues to evolve. It is updated periodically. We welcome questions your suggestions for additional content that might be considered for this site. Contact us with suggestions.